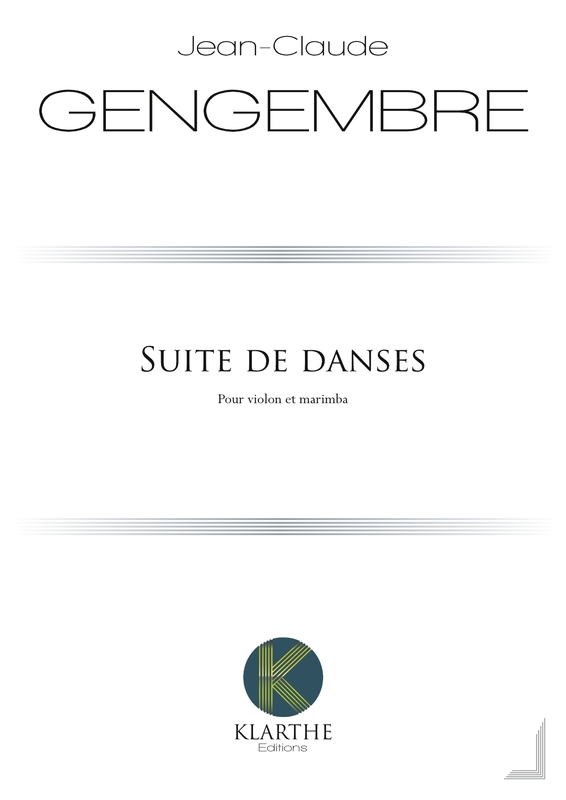 A commission from the Duo Contrastes, this Suite of dances is composed of short pieces for violin and marimba. The title makes reference to the Bach Suites for violin or for cello, often transposed for marimba. The writing of the short pieces allows for the development of different moods (notably with the marimba, whose five octave range allows for a very varied palette of colours in the lower and upper registers. ), and to explore different horizons, as much with the tempi as with registers and styles. Writing for these two instruments allows one to juxtapose a noble instrument with an impressive past (the violin) with a more 'popular' and recent instrument (the marimba). Like the Bach Suites, the piece opens with an introductory prelude, presenting the instruments and the originality of their association. The theme of the second movement 'Imprevisible (Unforeseeable) Chaconne', is based on the rhythm of its illustrious homonym, the chaconne from the Partita in D minor by Bach. 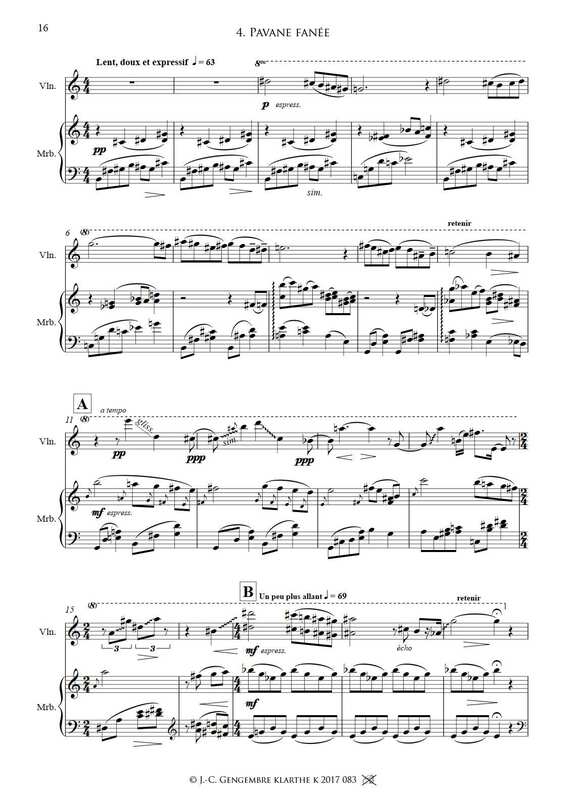 The 'Petite Valse Nostalgique', inspired by the Chaconne theme, starts with a direct quotation, but harmonising it differently, then allows it to evolve. The nostalgic atmosphere is accentuated by a chopped up style of writing, with interrupted phrases and full stops. Based on a pavane rhythm, the fourth movement, Pavane fanée (wilting Pavane), is developed with glissandi, suggesting flowers which are starting to droop and whose beauty is fading. The piece finishes with a final Fuoco, which evokes spanish and oriental dances.